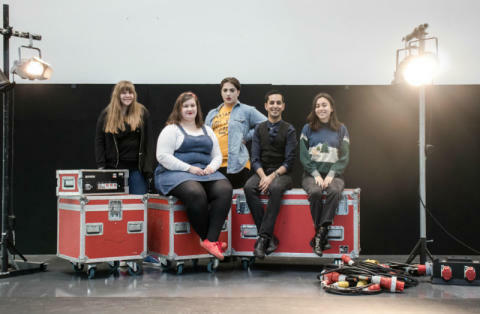 National Theatre of Scotland Youth Project Team Members (from left to right) Lauren Asher, Seona McClintock, Cameron Downing, Sanjay Lago and Gonca Yalcin. Photo by Megan McEachern. Ten leading UK and international companies and artists, specialising in daring new work targeted at young people, will embed themselves in ten communities around the country, working with local young groups to co-create, design, develop and stage a piece of performance. Ten productions will take place in cities and locations across Scotland as part of the Futureproof festival in September and October 2018. The project which is supported by EventScotland, part of VisitScotland’s Events Directorate in celebration of Scotland’s forthcoming themed year is co-curated and creatively led by Lucy Gaizely of multi-disciplinary performance company 21Common. 21Common is a multi-disciplinary performance collective that attempts to dismantle expected power paradigms by looking at the ideas of love, grief, violence and representation. Echoing the HOME project, which launched the National Theatre of Scotland in 2006, Futureproof’s ten performance projects will be unique to their location, sharing the experience of their young people and celebrating the sparking creative energy of youth. 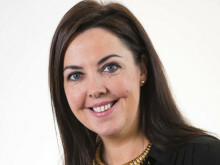 In order to encourage the next generation of theatre innovators and instigators, the National Theatre of Scotland has also recruited a core group of eight young people to become its inaugural Youth Project Team. Following an open call process, the team of 14-24 year olds will influence and oversee not just the Futureproof festival,but the company as a whole throughout the year by embedding within departments and asking provocative questions of the Company’s work and practice. The eight Youth Project Team members are Sanjay Lago (24 years, from Glasgow); Cameron Downing (17 years from Edinburgh); Seona McClintock, (24 years, from Renfrewshire); Lauren Asher (18 years from Dumfries); Roderick Gilkison (15 years, from Maryhill) Gonca Yalcin (20 years from Glasgow); Ryan Hay (21 years from West Dunbartonshire); and Rachel-Jane Morrison (24 years, from Fife). Other young people from across Scotland will be given opportunities throughout the year to work with the National Theatre of Scotland on Futureproof within their communities. As part of the National Theatre of Scotland’s commitment to engaging with young audiences, the Company will also be piloting a new membership scheme for 14-24 year olds in 2018. The Futureproof Passport will give young people access to £5 tickets to selected performances across National Theatre of Scotland’s 2018 season. Full details of the scheme, and information on how to apply, will be announced in January. The National Theatre of Scotland and Mammalian Diving Reflex (Canada) present The Presentation of Unst in Everyday Life in Unst and Lerwick, Shetland. The company will engage a cast of teenagers in responding to Canadian sociologist Erving Goffman's 1957 work, The Presentation of Self In Everyday Life, which was written following his year of ethnographic research living on Unst.The Presentation of Unst in Everyday Life will see the island’s young people deconstruct Goffman’s conclusions about their grandparents’ generation, exploring the theatricality of social interaction, both real and digital, in the 21st century. The National Theatre of Scotland and Back to Back Theatre (Australia) present RADIAL in Dundee. Playfully re-imagining video art, dance, music and fashion, RADIAL is a collaborative film-making process resulting in a video portrait of a community and landscape in motion. Filmed using a circular camera track, RADIAL offers participants the opportunity to collaborate within a clearly defined artistic process then gather in a public setting for the screening of the completed work. The National Theatre of Scotland and CAMPO (Belgium) present Wild Life FM in South Ayrshire. CAMPO will enlist the help of local young people to set up Wild Life FM: A live radio show on how to discover yourself through music, a raw exposition of what it’s like being young in Scotland today, and a chance for the voices of the young people of South Ayrshire to be heard. The National Theatre of Scotland and Empathy Museum (UK)present A Mile in My Shoes in Moray. Empathy Museum is set to bring their international touring hit A Mile in My Shoes to Scotland, where they will curate a whole new selection of audio stories from the community. Housed in a giant shoebox, this exhibit holds a diverse collection of shoes and audio stories that explore our shared experience. Visitors will be invited to walk a mile in the shoes of a young stranger whilst listening to their story. The National Theatre of Scotland and Jess Thom (UK) present Touretteshero in the Highlands. Jess Thom is a theatre-maker, comedian, and disability rights activist, and will bring her Touretteshero project to the Highlands.Touretteshero will collaborate with disabled young creatives based in the Highlands to produce an inclusive extravaganza that showcases new talent and shares wide ranging perspectives. Expect playful activities, comic performances and creative conversations. The National Theatre of Scotland and Greg Sinclair (UK) present Lots and Not Lots in Fife. Musical artist Greg Sinclair will curate Lots and Not Lots: a concert of voice and movement performed by 12 local teenagers. Exploring concepts of fullness and nothingness the work will veer between an intricate tapestry of layered voices and bodies to moments of fragile still silence. The 12 young performers will act as a unit with occasional improvised vocal outbursts and flashes of absurdity that will dispel the illusion of perfection and give glimpses of the personalities within the ensemble. The National Theatre of Scotland and AHKE (Russia) present Rewind Perspective in Aberdeen. Akhe, the celebrated "Russian engineering theatre" company from St Petersburg, are famed for their intricate, sinister, and wickedly stylish alternative worlds. They will work with young people in Aberdeen to weave together a humorous and energetic piece exploring life as a young person in Scotland’s north-east. The National Theatre of Scotland and Rimini Protokoll (Germany) in Paisley. Documentary theatre specialists Rimini Protokoll will adapt their acclaimed Cargo projects for local audiences in Paisley. The project will engage young audiences and will see a former articulated lorry, converted into a 50-seat roaming auditorium with glass walls, transform the whole town into a stage. Supported by Paisley’s bid to be UK City of Culture 2021. The National Theatre of Scotland and GLAS(S) Performance (UK) in Polmont Young Offenders Institute. Scottish theatre company GLAS(S) Performance (producers of award-winning young people's company Junction 25) will work in residence in HMYOI Polmont. Working together with young people in custody they will look to explore questions of identity and inheritance in contemporary Scotland; What is the world we are living in today? What impact does it have on us? What impact can we have on it? What happens next? The National Theatre of Scotland and Project X (UK) in Edinburgh. Scottish dance company Project X will be working with young people in Edinburgh to develop a new piece of dance theatre performance, using different dance styles to explore themes of ancestral journeys and shared histories by communicating stories through movement. Full details of the Futureproof festival will be announced in 2018.